Picture this: you're attending a concert featuring your favorite singer. The show is going well and now the singer is performing your favorite song. You're admiring the ease with which the singer goes from low to high notes when all of a sudden something goes wrong. The voice cracks and the beautiful tone is destroyed. The singer has trouble recovering and you feel embarrassed for the singing star. Has this happened to you? Could this vocal strain have been prevented? Absolutely. Preparing the voice before singing with a program of correct warm-ups is the best insurance policy against vocal mishaps. All vocal warm-ups do not fit every singer. In fact, you can easily strain your voice by trying to sing too high or too loud. The exercise must be designed to help the vocalist overcome and correct a problem as well as bring warmth and flexibility to the voice. Therefore, the best step you can take is to learn what the most effective warm-ups for singers and vocalists are and make it a habit to always warm up your voice. Just make sure every warm-up constructed for your distinct voice. Warm-ups vary. While there may be certain vocal warm-ups that work for just about any singer, this is certainly not the case for all warm-ups. Also, another thing to consider is the way each warm-up is sung. This is a highly important consideration in maintaining good vocal health. Repetition is key. I have decided to share some of the warm-ups my own students use. Keep in mind the importance of discipline. Repetition is the mother of learning. So sing through vocal exercises several times each day. Avoid certain food and drinks. Do not sabotage your singing by consuming dairy products, caffeine, or ice cold water, or drinks. Posture is crucial. Be sure to warm up your body before doing vocal warm-ups. The entire body is your vocal instrument and it must be free of all tension, particularly in the shoulder, face and tongue areas. Watch your posture and stand up straight with the body weight balanced on the balls of the feet (not the heels). This will help in keeping the spine straight. The neck is a critical area. 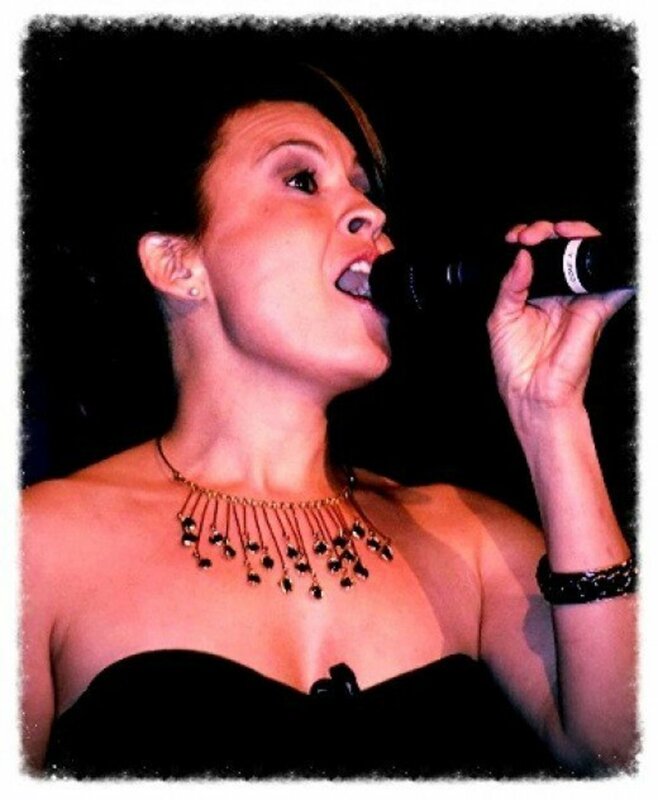 The neck is a critical area for singers. It houses the spinal cord, nerves, blood vessels, and our vocal mechanism. Also, the neck supports our head, which weighs an average of 20 pounds. Hang arms loosely. I am often asked, "What do I do with my arms?" My answer is to simply allow them to hang loosely at your sides with your fingertips lightly touching your upper thighs. Remember that when it comes to your arms, less is more. Sit properly. We don't always stand when we sing so it's important to know how to sit properly. Sit in such a way that your back is supporting you. When singing in a choir, switch your position from one posture to another every 10-15 minutes. This will keep your back from becoming fatigued. Tighten your buns. Another tip that has worked well for me is to tighten your buns when standing. This will strengthen your abs and the lower back muscles and help maintain good posture. Planted feet and unlocked knees. Your feet should be planted on the floor about shoulder's width apart and the knees unlocked (slightly bent). Breathe by using the diaphragm (belly breath) for a well-controlled tone. Drink plenty of water. 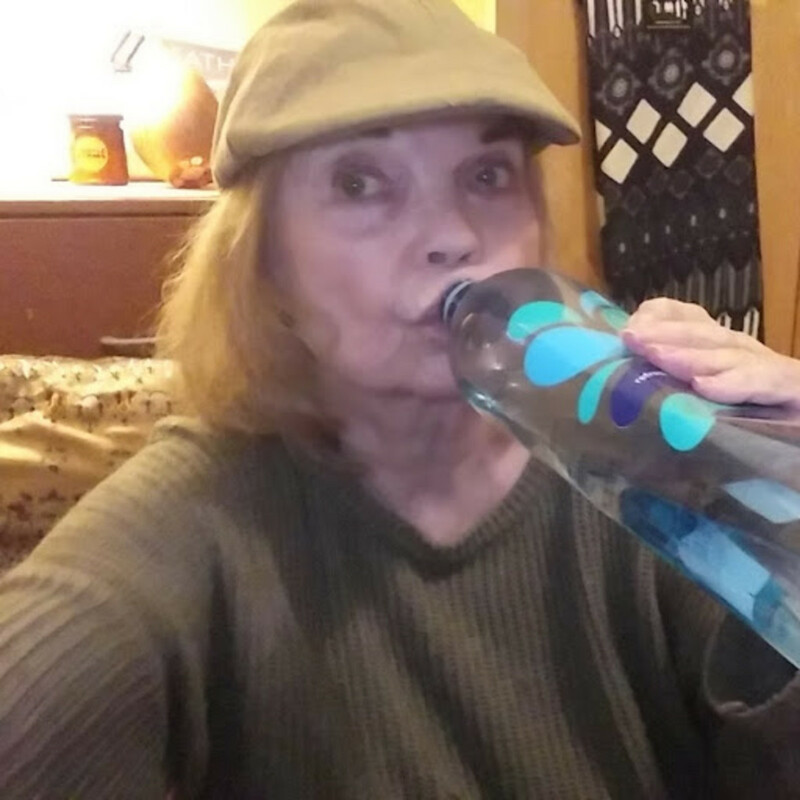 Sip on room temperature water during singing. Now, if you're ready to begin . . . let's go! To create great sound your tongue must be just as relaxed as the rest of the body. The tongue is a huge muscle, in fact, it's the largest muscle in the body. If it's tense it blocks the sound and can even make the sound seem tense and tight. When the tongue holds too much tension, this keeps the sound tense instead of nice and relaxed. So learn to lay the tongue down flat in your mouth except for when you're forming consonants and vowels. This article will teach you how to relax your tongue as well as the lips and jaw. When you learn to do this - what wonderful difference in your singing voice! The lip trill, or bubble, is a warm-up to reduce tension in the lips. The lips form the vowels as you sing. Any degree of tension in the lip area will produce some tension in the tone. Imagine that you're swimming underwater. As you blow out the water, there will be a 'brbrbrbr' sound as the lips vibrate naturally and easily. Begin with a short lip trill, supported by air from the belly. Repeat the trill 4-5 times and extend the duration a little longer with each trill. Try not to not purse the lips. Simply pretend that you are blowing bubbles under the water. If you find this difficult to do, it is a sign that your lips carry too much tension. What is the tongue trill? If you can roll your r's, then you can do the tongue trill. To execute the tongue trill, try flapping your tongue against the roof of the mouth (the hard palate). You can also try purring like a cat. Hold the sound steady and keep the breath connected. Once you have learned the trills, practice them on a full scale. Support the trills with plenty of air. Watch the video below to see how this is done. Keep the lips loose and relaxed. Avoid pressing them together. You want to feel the vibrations occurring in the lips as you hum. Open the mouth as if you are singing the vowel "ah." Then, slowly bring the lips to a gentle close for the humming position. This will keep the space open inside the mouth to provide resonance as you hum. Follow the notation in the picture below as you hum. You are humming the C Major scale. Modulate in half steps when repeating the scale. Do not sing higher than is absolutely comfortable and easy. This rule applies to all exercises. The open vowels for singing are: Ah, Eh, Ee, Oh, Oo. 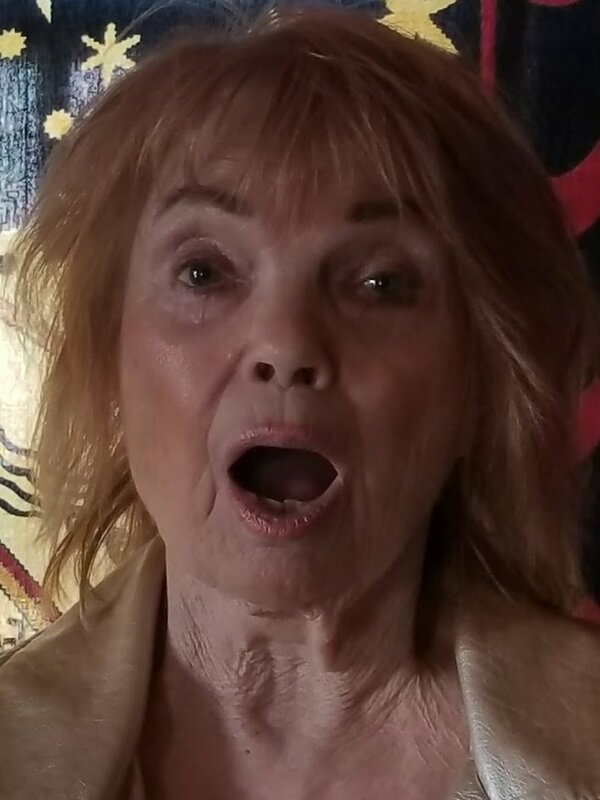 Mouth position is crucial to fine singing. This is a whole other lesson which I will write about later. For now, concentrate on the 'Ah' vowel position by dropping the jaw to project your sound. Maintain a nice two-finger space between the top teeth and the bottom teeth. Begin with the 'Ee' vowel and sing on a comfortable but energetic tone, sustaining the tone for five seconds. Using good breath support, repeat and hold for 10 seconds. Be sure to keep the open mouth position the entire time. Repeat this exercise using a different tone. Using the photo above, sing these vowels in any order you like. You'll be stretching your voice and increasing your range as you warm up. When you are finished, you will be ready to use the arpeggio warm-up (shown below). Your throat and vocal bands require moisture during singing. You want to prevent dryness to the voice and the best way to do this is to simply drink your water. Keep a bottle or glass of room temperature H20 handy and have a sip or two often. Notice I suggest "room temperature" water. Why? When we drink cold or ice-cold drinks the cold temperature actually restricts the vocal folds. This is the last thing we want to happen when we sing. When the vocal folds are restricted then so is our tone. We lose the warmth and flexibility that is so vital to good singing. So drink up my friend. Water is free! Seeking an instructor. An entire book can be written about vocal warm-ups alone. There are hundreds of exercises available. Some are right for a particular singer while another can be all wrong. Singing the wrong warm-ups can even be damaging to the voice. This is why I always recommend seeking a qualified vocal teacher. Children. Children must be given careful, light exercises and not adult warm-ups. And young men going through puberty is another whole dimension of vocal training and must be left to the highly skilled instruction of an expert. I sometimes recommend that boys this age should not sing at all until they are through puberty. 10-20 minutes. Effective vocal warm-ups for singers and vocalists should be around 10-20 minutes at each session. I hope you enjoy these introductory exercises. Some vocal warm-ups may be a bit challenging to sing but they should never feel uncomfortable. If you experience a sore throat or hoarseness following your warm-up session this could signal a red flag. Use your warm-up sessions to test your vocal technique and skills. Concentrate on breath control above all. Lastly, don't forget that the most important thing you need to be a singer is a desire to sing. You may encounter obstacles. Keep singing anyhow and let your desire fuel your discipline. Follow your dream. When you know you have to work on your voice you're already improving your singing. Good for you! Thank you for your wonderful comments. You're a bright young lady! this is amazing...i'm in 11th grade right now and planning on going to a music school...but i know i really need to work on my voice...thank you so much for this advice!!!!! much appreciated! You can! Contact me for help and support. My goal is to encourage everyone to sing. Singing is your birthright. You have it right inside you. Thank you for being here and for your comments. It sounds like you had a good coach. Glee clubs are so much fun. I'm an alto too - love doing harmony. Keep singing my friend. You shared one of my hubs and I want to thank you. Warm-ups give the voice flexibility and strength. Appreciate your support. Hello, Ms. Audrey. Thanks for this informative piece! It makes me recall my high school days when I was part of the glee club. I was a soprano. We would always do a warm-up before a performance. Our coach always used to tell us to sing from the diaphragm. Now that I'm older, I find it hard to reach the high notes which is why I take the alto part. I sure miss my singing days! Judy - Hello. So glad you liked my tips for vocal warm ups. And thanks for your tip about the bubble exercise. Thanks for all the great tips. I've struggled with the bubble for years but I discovered that if I put my bottom lip out as if pouting, it works fetter for me. Vasantha. Thanks for being here. I appreciate your comments. Vellur - So happy you found this hub useful and interesting. There are endless vocal exercises to help the vocalist. Thanks so much. Interesting warm up tips for singing. For those who love singing this hub is very useful. Voted up! Very useful and interesting, never knew that there were so many vocal exercises to improve the voice. Great hub, voted up. Well, I LOVE YOUR COMMENTS! And you're blessed with two musical sons - marvelous! What a great surprise is in store for them with you singing. And about the coffee...it isn't necessary to completely give it up. Because it can be drying to the vocal cords, just wait a couple of hours or so before you sing and increase the H20. Thanks Kim. How wonderful that your 14 year old son loves to sing! This is an age when young men's voices change. It's important that he protect his voice at this stage. He will experience a 'break' in his vocal range. Remind him to sing softly and be careful of straining his voice. It is often recommended that boys this age refrain from singing until the 'change' has taken place. Please feel free to contact me for help. There will be no charge for you. Maybe sometime we could meet on skype and I could hear him sing. Hi I'm very happy to have found your hubs because my 14 year old son loves to sing and I know so little about how to help him to warm up before he does so. I shall study these exercises carefully. Sadly I can't afford to pay for singing lessons, but he does sing in a choir and in lots of musical theatre. Thanks for this hub. How marvelous it is to hear you've found your voice! Sing away, my friend. Thank you. We singers can always use more practice. The more we put into it, the better we sound. The late Pavarotti practiced 6 hours a day after being named the greatest tenor of his time. Thanks! I need to share with my daughter who wants some lessons. She is really into singing but no one around here is advertising lessons. Great tips! Wow seems like a lot of work i have been singing for many years, and have never practiced like that. I've definitely found my voice as an adult. Some of us are just late bloomers. Great hub for those of us who like to dream. These tips should be really helpful to singers and wanna be ones. Though I don't sing, my brother does though, it was a very good learning experience. And I'm going to forward this link to him. I appreciate your comments and confirming that the lip rolls used as a warm-up really do help. Thanks for sharing the tip on carbonated drinks. Thank you for your comments. I do appreciate the feedback. Glad you are sharing these tips with your daughter. Happy thoughts! Thank you for all of your tips. We use the lip rolls in choir warm-up and I was surprised by how much it helped! It may look silly but it makes your sound come out more clearly and easily. Something else I've found is that carbonated drinks make me kind of raspy, so I avoid drinking soda before a performance and I feel a lot better. I Didn't know you were a singer. The key for still singing well when you have sinus problems is to be sure you have plenty of air and to distribute that air evenly. Should there be any differences in a warm-up for singing sitting down? I'm thinking of while I'm driving, which is pretty much the only time I can actually attempt singing without being begged to quit. pstraubie48 - Oh, I am so very happy to hear that you sing in your church choir! And think of the compliments you are getting as confirmation from God and His joy about your using your singing in such a positive and wonderful way. I knew there were things we could do to help improve our singing but I never really gave it much thought. Now you have filled in all of the gaps in my knowledge. I have just begun to sing with our little church choir and have received, much to my amazement and somewhat embarrassment, compliments on my singing. I really never thought that I was much of a singer except in my car, around the house, and in the shower. I will share these with our little choir soon. RTalloni - So nice to see you here. Thank you so much for sharing my hub on your pinterest board! ComfortB - Congratulations on the lip roll and especially through the entire scale! 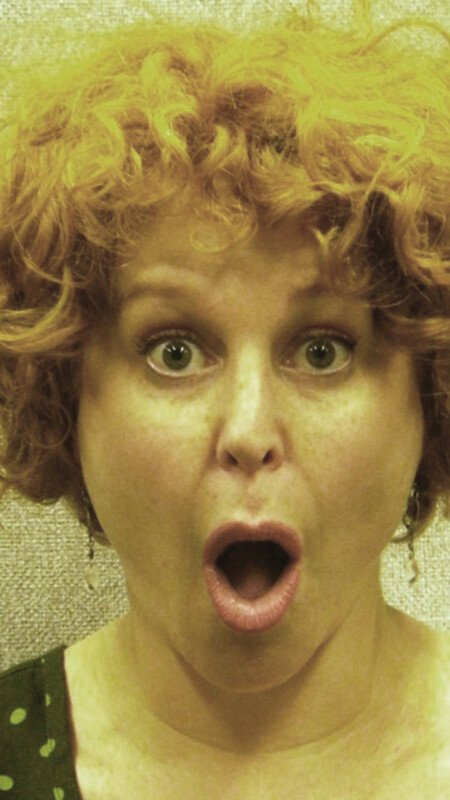 This exercise prepares not only the lips, but the whole face and tongue for singing. Thanks for the vote and more. MarleneB - Hi. You are absolutely right. These exercises are often practiced by actors. Thanks. prairieprincess - Your comments are so kind. Thanks for sharing these vocal warm-ups with your sister. I'm happy to hear that you enjoyed this article on effective warm ups. Enjoy your day! Great, practical article, Audrey! I have shared it with my sister who is very involved in music. I enjoyed reading it, too, because I enjoy singing and was involved in a choir at a younger age. Thanks for writing and helping others with your knowledge. These are great tips. They would also work for people who are in the voice acting business. I really did learn a lot of vocal exercise tips from this hub. I was finally able to do a lip roll longer through singing an entire scale. I'll be sharing with other members of my choir. Thanks. So interesting to learn about the importance of vocal warm ups here. Your tutorial is easy to follow and understand--thanks! Pinning to my Home Education/Schooling board. 101Ways2Life - Hello my friend. So nice to see you here. Just keep practicing this. Your goal is to rid your tongue and lips of tension when you sing. Good for you! Fantastic tips. Tried the tongue trill and lip roll, which was hard. But practice is what it will take. Thanks for the tips. Thank you rajan for sharing this information. I'm going to see if I can find this scale on you tube. I'd like very much to hear it. I will also search for the tanpura. I appreciate your votes and sharing. Very interesting read Audrey. Indian classical singers do riyaz (practice) of singing the sargam (the seven basic notes of singing). This riyaz is a must to maintain one's voice quality and to prevent voice breaking as well at high notes. This is an early morning practice that is done with a tanpura which is an Indian long necked string instrument. Voted up, interesting and shared and tweeted. Another wonderful read by you Audrey and voted up for sure. Enjoy your weekend. These exercises are exactly what I've wanted to know for a while. Great tips for relaxing the mouth and entire body to prepare for singing. Oh, how I miss singing in a chorus. We traveled and performed at a variety of places in our high school concert choir - even at the Super Bowl! Wow, great info... I definitely do not have Soprano XD, But I adore soparano voices especially mezzo soprano is my favorite. Habanera, Stride la Vampa etc ... are my favorite opera "songs" , sung by mezzo soprano voice. habee - Hi, and how are you? You've been through so much! It's just great to see you here. And I envy your ability to have a voice that can sing really high. I'm sure those notes are still there (somewhere.) :) Thanks for the vote up and hope you feel good. taylorgus - You are a good vocal student! I'm more than pleased to see you here. Thanks for sharing the "massage the vocal cords" idea. Never heard of that one. So glad I could give you a few more warm ups to use. Sing with joy! Eileen - Thanks for another hub idea. I'll get to working on that one. 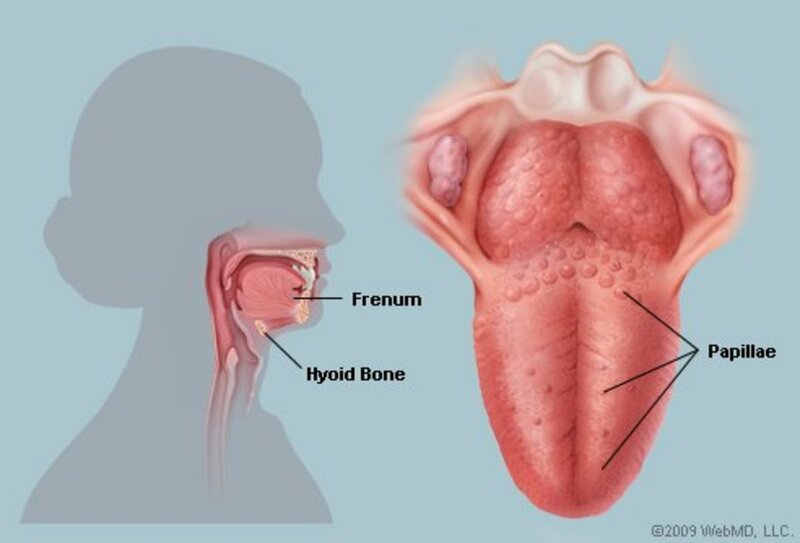 You are so nice to suggest the "vocal fry" - I agree that it is a Kardashian disease of the throat. :) Will be by to check out a hub or two. thekatydid - What a career you've had - and beginning at the age of 8. I'm both impressed and very pleased to meet you! So glad that you like my hub on effective vocal warm-ups. See my smile? Thanks so much! Miss Eileen - Thank you so much for reading this and taking the time to comment. Much appreciated! really enjoyed this article! thanks for the great advice, I can definitely see myself trying out these exercises. my choir teacher always emphasizes massaging the vocal chords too before we even start singing. it's amazing how much that actually helps! lisa - Hi! I read your profile and immediately felt a connection with you:) Thanks for being here and appreciating my instruction. I hope to see more of you. Happy New Year! I am a voice over artist and just reading your hub brought back all of the warm up exercises I learned in school. We made sure to stretch out the whole body too just to be relaxed all over.This is a great hub and I appreciate the step-by-step instruction. suzzetteNaples - I'm delighted to hear that this hub was helpful to you. Enjoy your choir and visit me again soon! 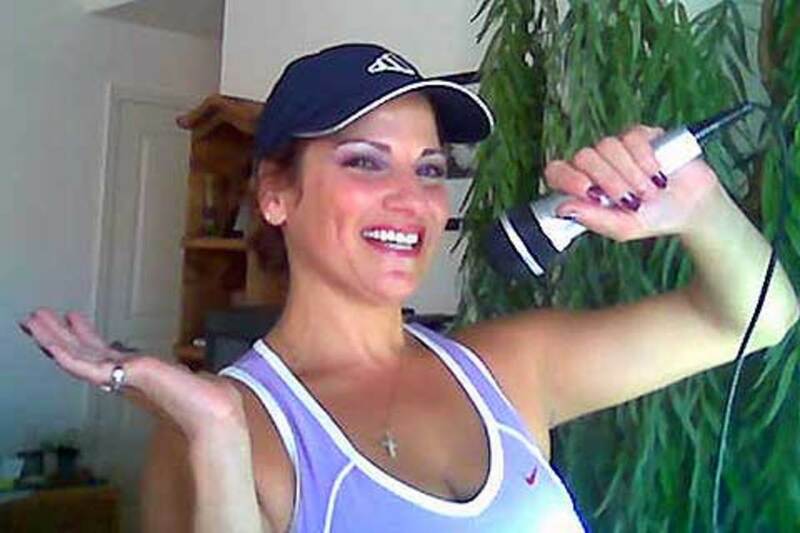 Pamela - Thanks so much for your feedback on my hub. It's such a good feeling for me to know you are sending this to your son. I appreciate your votes very much. StephSev108 - I'm very happy to see you here. Thanks so much for commenting. Teji - Vocal nodules can happen to anyone whether they sing or not. Any type of vocal abuse such as yelling or screaming over a period of time can cause nodules on the vocal bands of non-singers. It is difficult for me to give you an answer to your question. Vocal nodules can heal in time if the cause itself is corrected. I recommend that you see a ENT specialist for a complete examination. I am not a Doctor and therefore unqualified to diagnose your situation. Thank you for your comments and I wish you the best. This is so interesting. I'm sending it to my son, a singer. I'll bet he has not heard of lip rolls and tongue trills for scales. The video was great! Voting up, useful and sharing. This article is so helpful to me. I just recently joined Voices of Naples, a community chorus/choir in Naples, Florida. I am not a professional singer by any means - just an amateur, but these warmup exercices you recommend are some I can use. Thank you so much for sharing your vocal knowledge with us. I will be readinng some of your other hubs also. Voted up and shared! RealHousewife - YOU are beautiful! This is a good age for your precious girls to learn the importance of warming up their voices. It will always stay with them. And as for the neighbors...tell them to "get used to it" and sing away. Thanks Kelly. Gilly - So glad you discovered hubs and thrilled that you will be using some of these exercises for your students. Come back again! Just discovered hubs! Thanks for all the info. I teach voice to secondary age girls and am soooo bored with current set of exercises. Thank you !!! Beautiful hub! I'm passing it to my girls who do sing...:) my neighbors would be glad if I could sing a little better! Ha! giocatore - Your comment made me laugh. I'm glad you liked my hub. I hope to see you again soon. I'll be buy to check out your neck-of-the-woods. Thanks. mackyi - Yes...when we "slump" instead of standing straight, our breathing muscle (diaphragm) is constricted. That prevents much needed air from cushioning the higher tones. randomcreative - So glad to see you here my friend. Thank you for your comments and your support. AliciaC - You've made my day. So glad to hear that this has helped you and that you will be practicing your trills. Good girl! Thesingingnurse - Hi there. Your comments are like discovering gold to me. I'm absolutely delighted to find that you have such an appreciation for my hub on Warm-ups. Coming from YOU, I couldn't ask for more. Bless you for sharing with other singers. I'm so happy! giocatore - Well, your name certainly sounds like that of a great singer. :-) I appreciate your comments and giggled reading the last line. Thanks so much! Excellent advise.As a Speech therapist I see many people who do not know how to use their voices properly and end up damaging them.A lot of my clients are "social singers"and it is sometimes hard to convince them of the importance of warmup exercises.I will refer them to this hub in future!. Great info! I'll have to remember this if ever I get the opportunity to perform again. Several votes, including up! Dear Pras ~ I am thrilled that you learn from my singing hubs.And we are all born with the ability to sing. It is natural and easy, until someone critisize's us. We must focus on the joy and fun of singing and just do it. You have given me a very good rating and I am always smiling when that happens for me. Thank you and take good care! ib radmasters - Great to see you here and thanks for liking my hub on The Most Effective Warm Ups for Singers and Speakers. There is just so much interesting,helpful & practical information to digest. I shall be refering to this hub often in future! many thanks for your splendid efforts in preparing it! Lady_E ~ I haven't heard about raw eggs. I don't think I could do this even if it is good for singing :-) So glad to see you and read your comments. And now...will hop on over to your hubs! Ruchira - Posture is extremely important as the muscles we use to sing with are all connected to the spinal column. I'm so glad you read this and left comments for me. Warm water with tea or lemon is very good to take before singing so I'm glad to hear this. Keep singing and bringing joy to others. Thanks Hillary for coming to visit! VocalCoach, I found this hub very useful. You have such an extensive knowledge of the subject. I love to sing but I have never trained with anyone. Your tips are very useful. Thanks! Vocalcoach, Wonderful, interesting, helpful and educational hub! Great Tips! No doubt you are a fantastic vocal coach! Voted up for sure! Thank You for sharing, Peace & Blessings! Now I knew you knew, Audrey, when you wrote this that I would be sitting at my computer reading your interesting instructions and "brbrbrbr"-ing and trilling along. Good thing no one was around or I would have been carted away posthaste. Thanks for the vocal education, m'luv. Yes I recall my request that you do a hub on warm ups! =) When I saw it I was just thrilled! Thank you so much vocalcoach! Vocalcoach, I am so glad you have written this hub. I am going to use it time and time again to help me get back to where I once was. I have been having throat trouble for a while now - I seem to recall telling you a while back about a 'click' sensation when I sing sometimes. I have always warmed up but lately I have stopped singing and cut down on my gigs to prevent further damage. 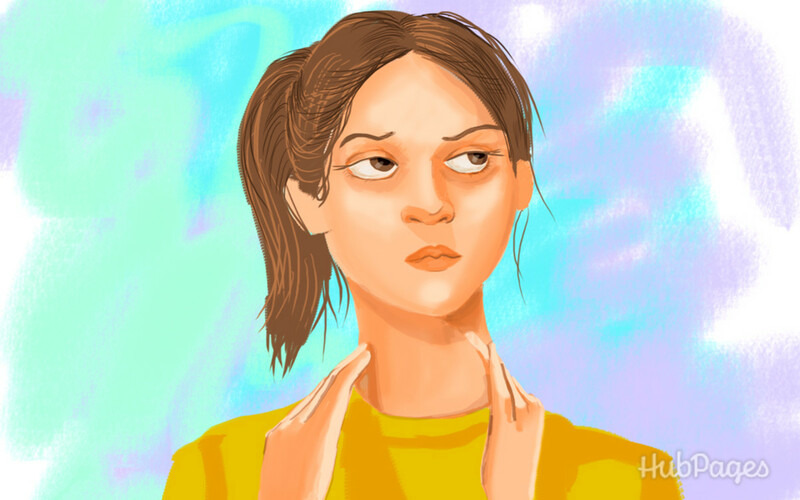 This week I was diagnosed as having 'hyperfunctional dysphonia with upper respiratory infection and gastric esophogeal reflux disease' which simply means that I have a disorder common to teachers who use their voices frequently. 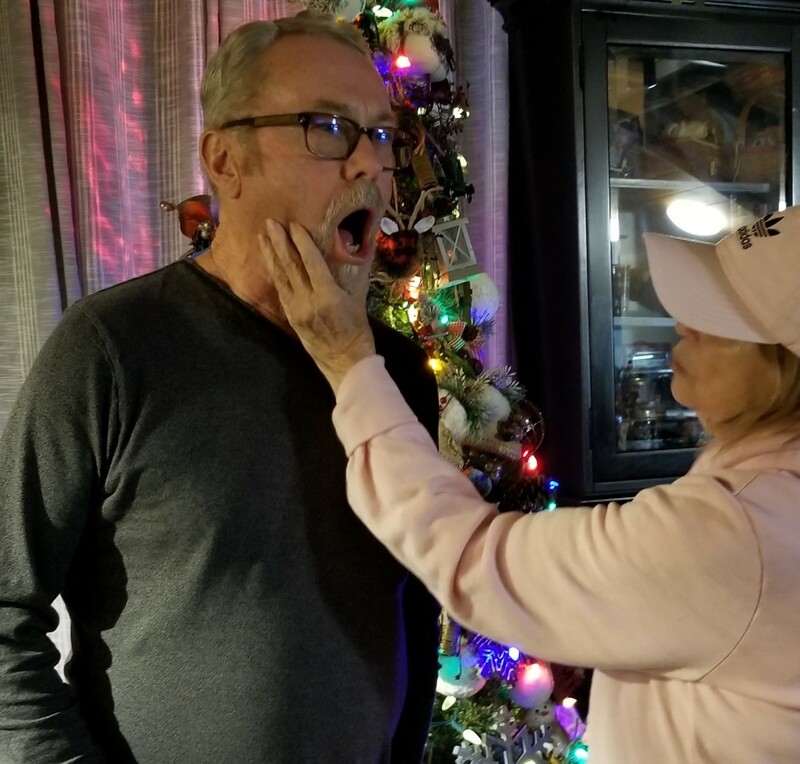 The doc said that I have changed the way I speak (and sing) to compensate for the voice problems as a result I will be undergoing voice therapy at the hospital and am actively seeking a local voice coach who can help me get back to normal. I am going to write a hub about my experience and my improvement progress just as soon as I find a vocal coach to help me and find out when my treatment at the hospital will start. My next gig is at the end of April so I think I'll have time to get things sorted especially if I follow your guidelines in this hub. Thank you so much for writing it. Voted up and stamped on all the buttons. This hub is like the most credible quick guide on vocal warm-ups for singers! This provided so much clarification on what I've been doing as far as doing vocal warm-ups is concerned. I thought lip trills were ridiculous until I started trying them almost two months ago. And they work! Appreciate your coming by and commenting. Thanks for the good rating too. Charlotte - It is mostly because of you that I wrote this hub. You asked me once to write about which types of warm-ups should be done. So, sweetie...here you are and I thank you! Thank you for the very useful information, vocalcoach. I sing for fun, although I have taken singing lessons in the past. I've bookmarked your hub so I can refer to it in the future. I'm definitely going to be practicing my lip and tongue trills! Great tips. As far as posture is concerned,I once heard that if you slump over as opposed to sitting erect will prevent you from hitting good quality notes! What a great, thorough hub. You will thank me, however, for not inflicting my singing voice on others! Cheers. I hope my vocal will better after learn this lesson. Thank you very much for writing in detail and share with us. I believe that many of us want to sing very well and you have show me the way. Rated up and I push all buttons here, except funny. Very detailed and interesting hub. Very useful tips. I wonder if it's true that drinking raw eggs is good for the throat - for singing. Not that I've ever tried it, but I hear it quite a lot. great hub with great tips vocalcoach. i was not aware that posture mattered in warming up. I usually sip some warm water/herbal tea before I let go of my voice. tarajeyaram ~ You're my first visitor on this hub. And I do teach singing if you're interested :) Thanks for stopping by. I'd say some of these would work for actors and public speakers. Voting this Up and Useful. thank you so so much for this hub! =) My favorite warm up is actually the lip trill. =P I do it all the time as it seems to be the most effective for me. Thank you so much for your insight, I'll be coming back for more! Wow! I always wished that I can sing. Great hub. Voted up.